Specialized radiator steam traps for room heating. 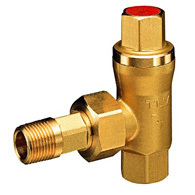 Thermowax is employed as the temperature-sensing medium in these steam traps. 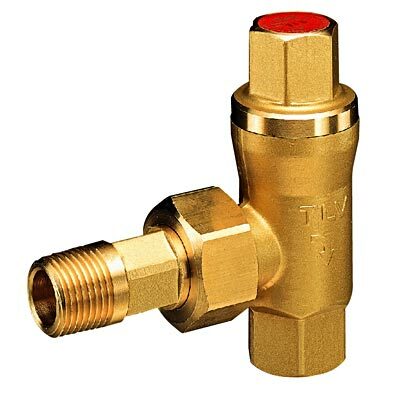 Any rust or scale entering the trap from the piping is discharged together with the condensate through the large valve opening, greatly reducing the chance of a build-up of scale that would obstruct the valve opening. The spherical stainless steel ball resists wear on the sealing surfaces and exhibits superior durability. The trap can also be disassembled and parts can be replaced while still installed in the piping. Radiators for room heating, convectors, baseboard heaters, unit heaters, etc.